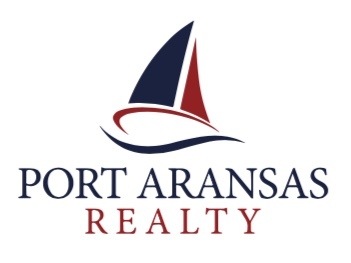 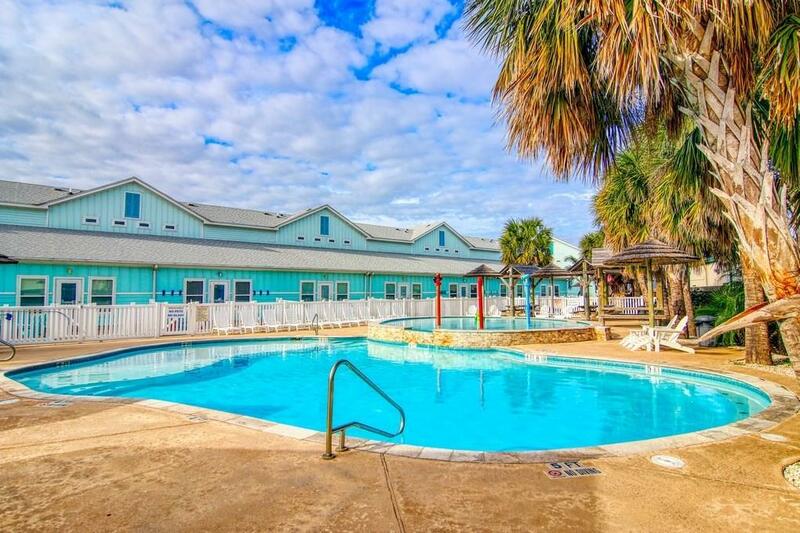 Come relax and enjoy island living just in time for spring and summer fun. 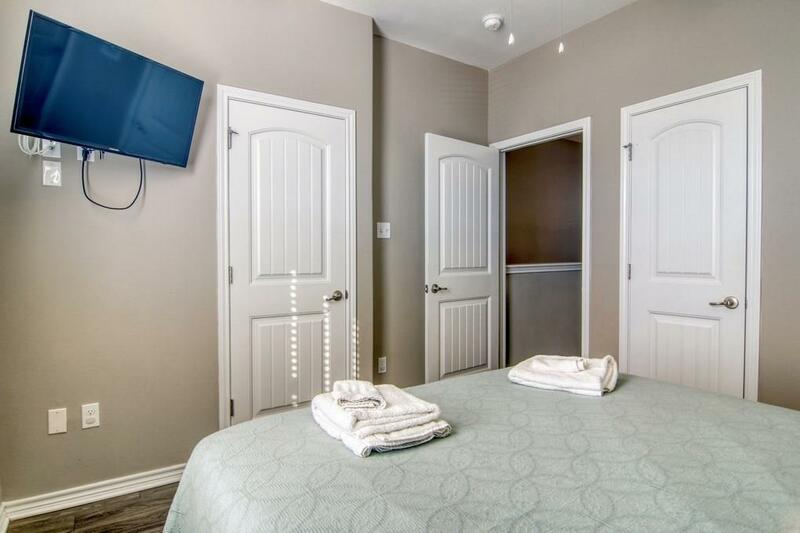 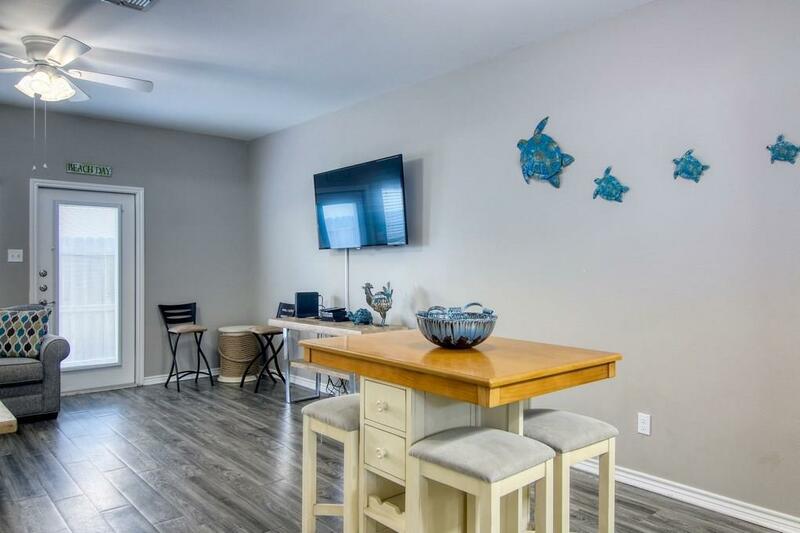 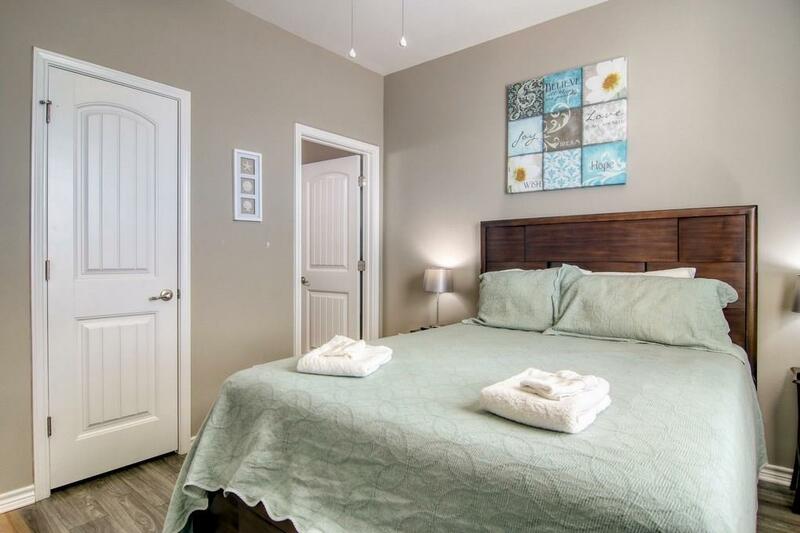 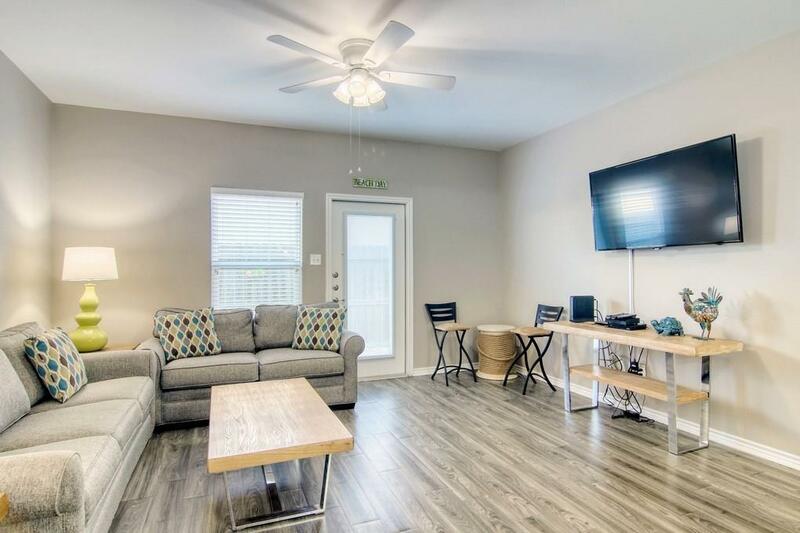 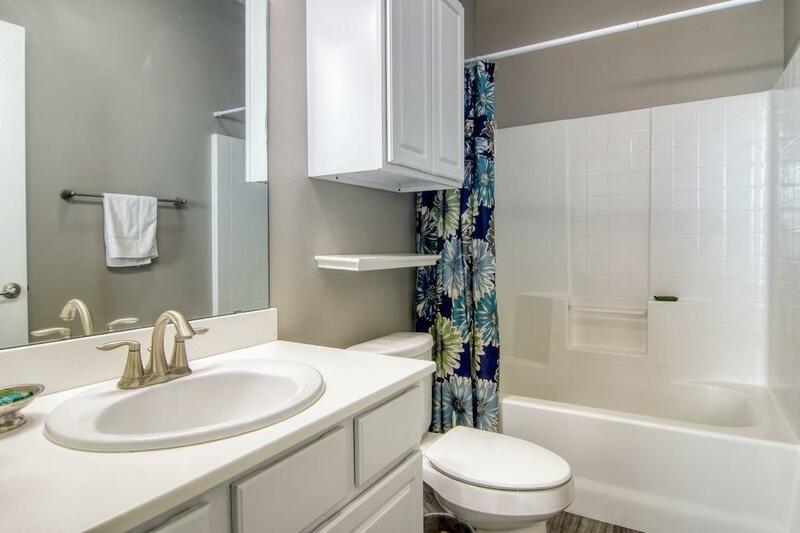 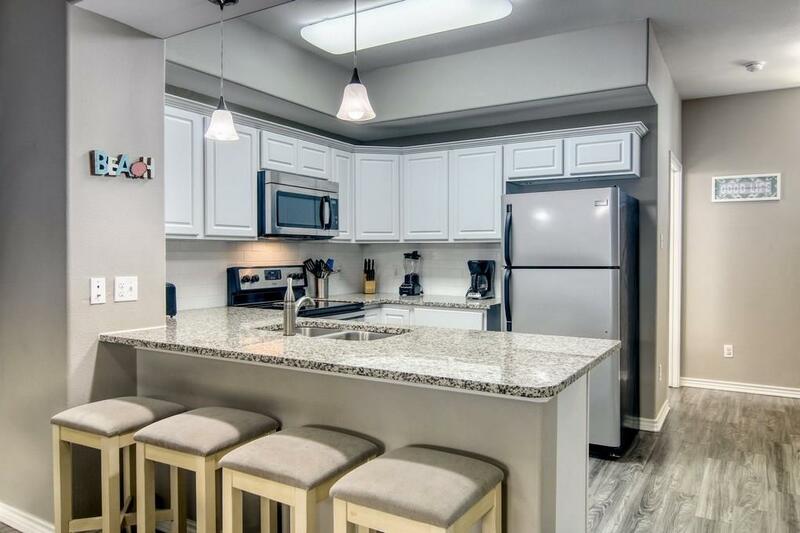 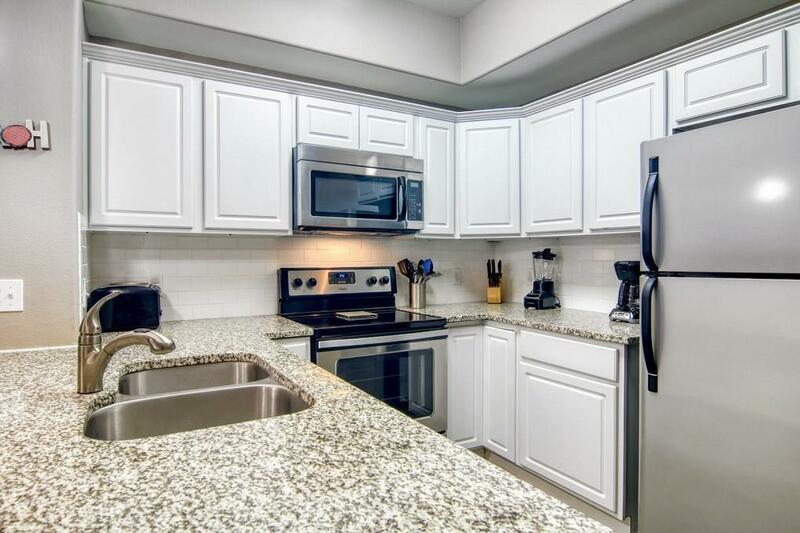 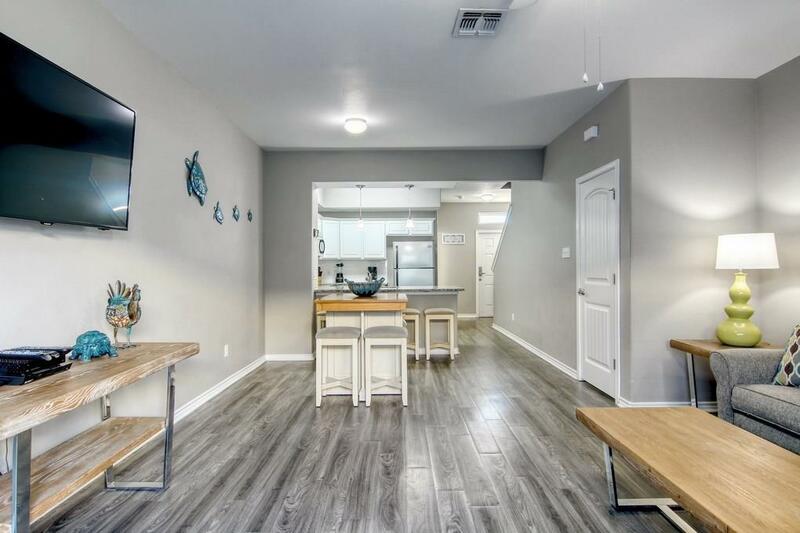 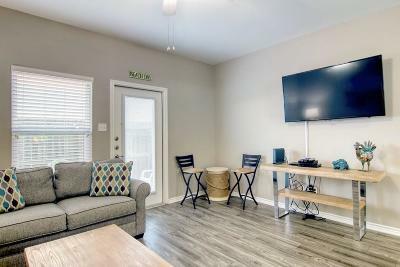 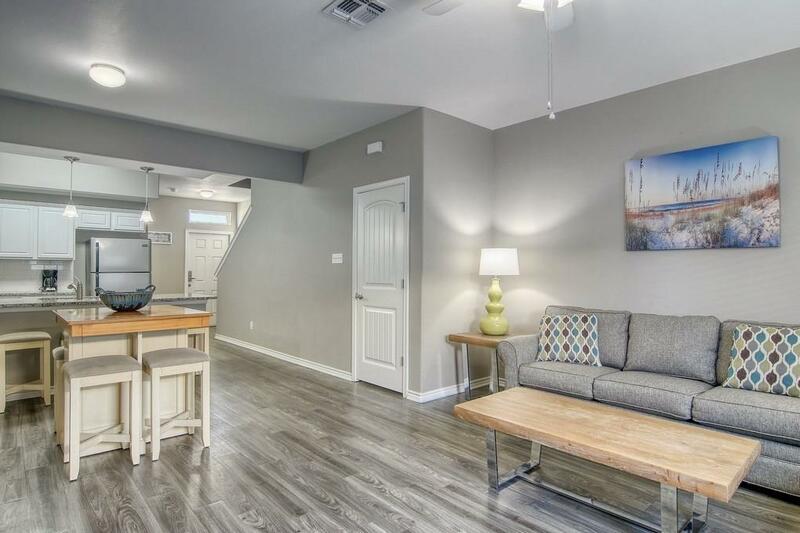 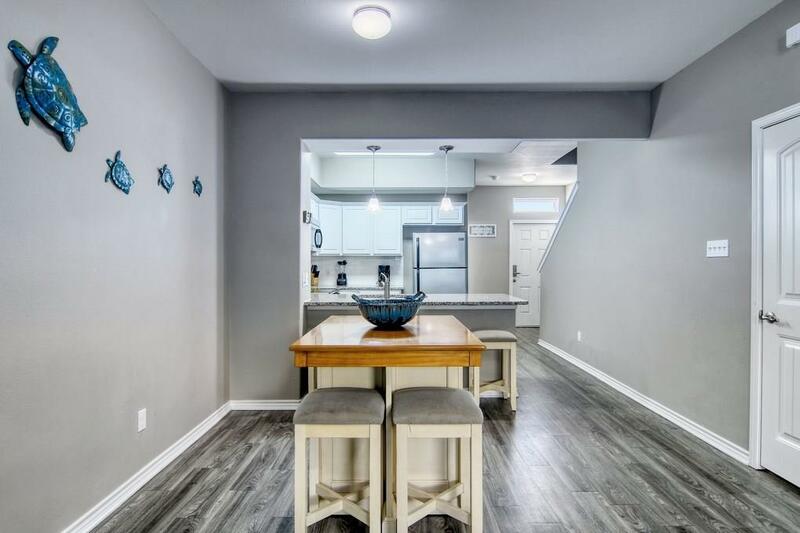 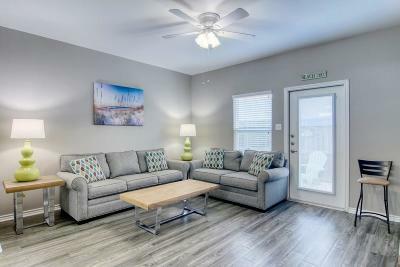 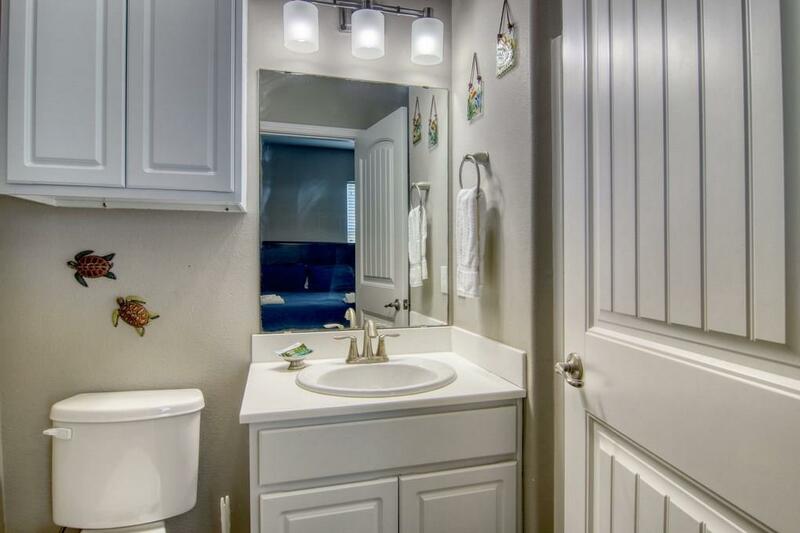 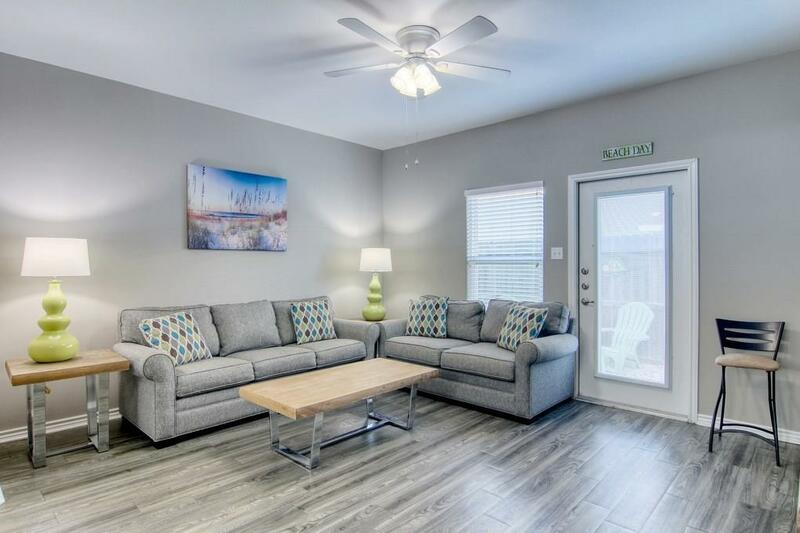 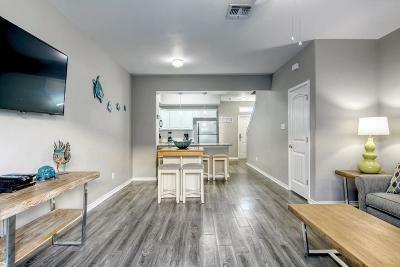 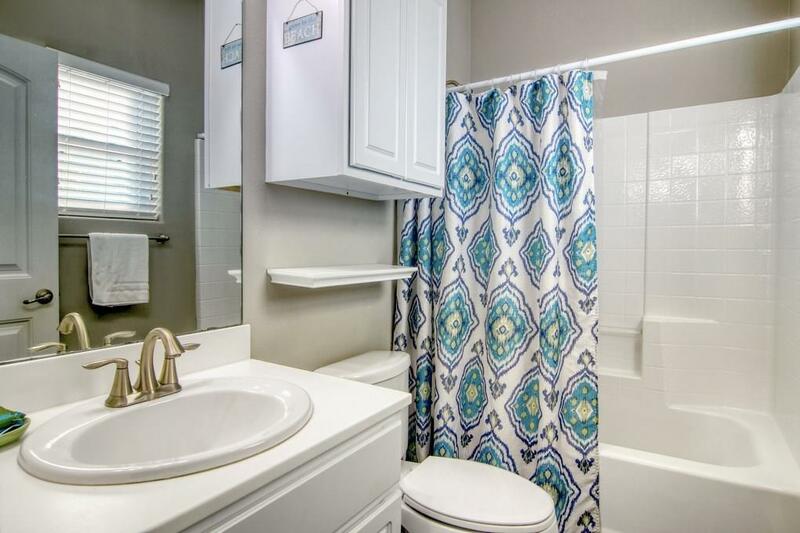 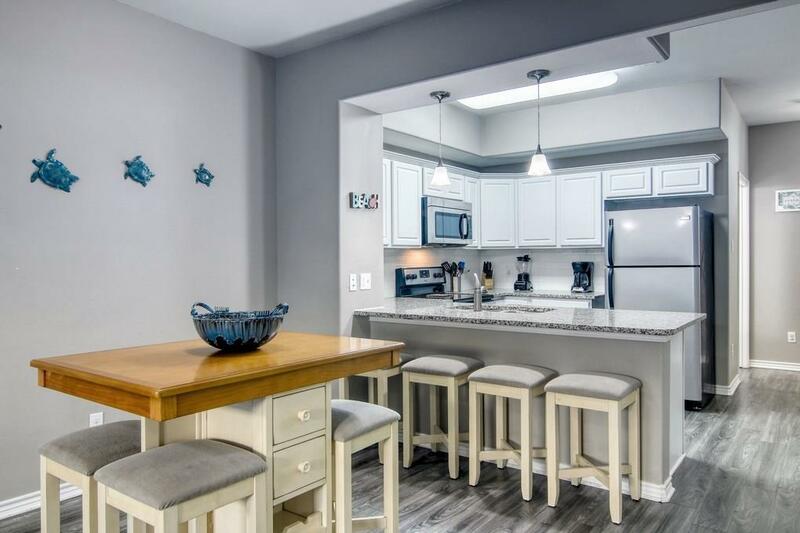 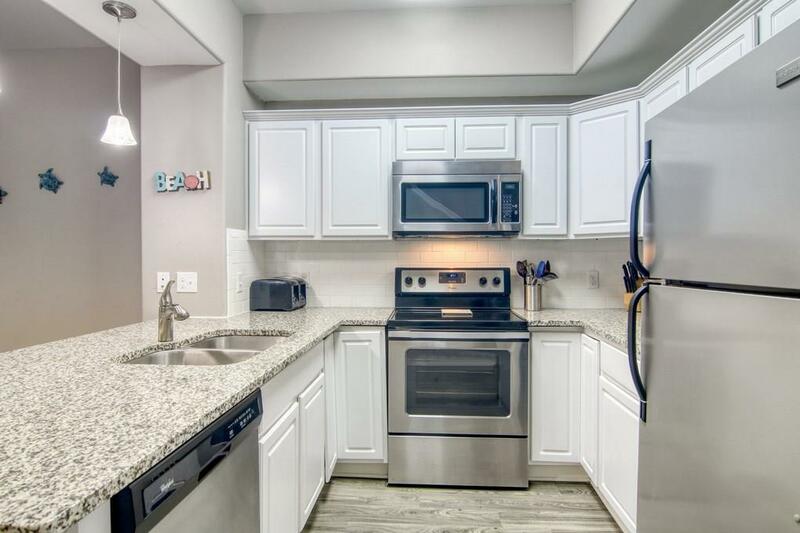 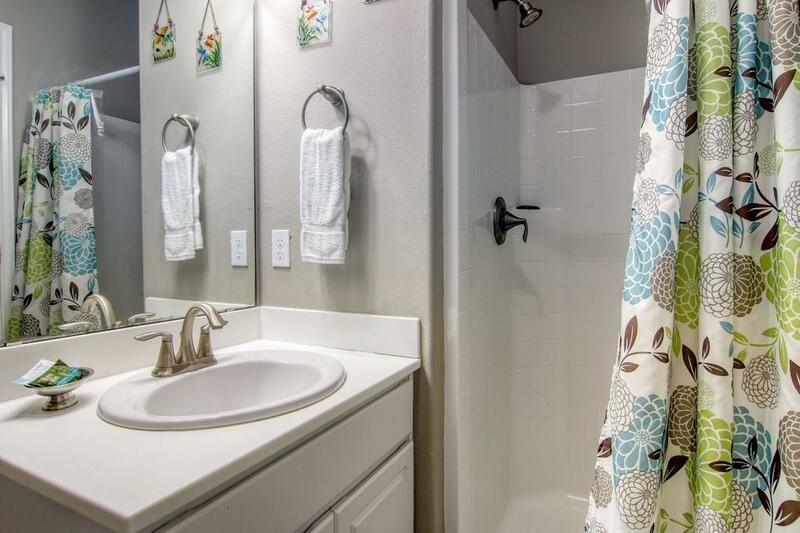 This lovely townhome features a spacious open floorplan that can sleep 8+; low maintenance flooring; kitchen with granite, stainless, and breakfast bar; full bath down; split bedrooms up - both with in-suite baths; laundry closet with full-size washer and dryer; private patio area; and two assigned parking spaces. 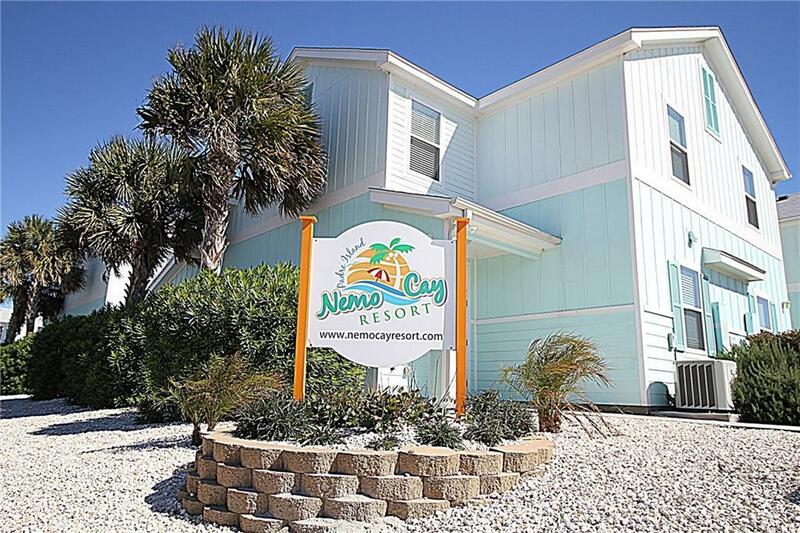 Nemo Cay Resort has amenities galore: heated tropical pool; palapas; kids wading pool with water features; playground; BBQ area; and picnic tables. 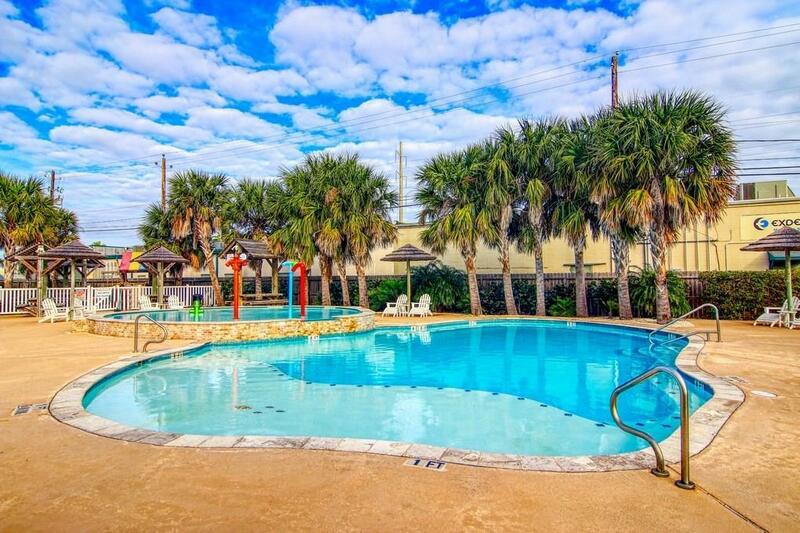 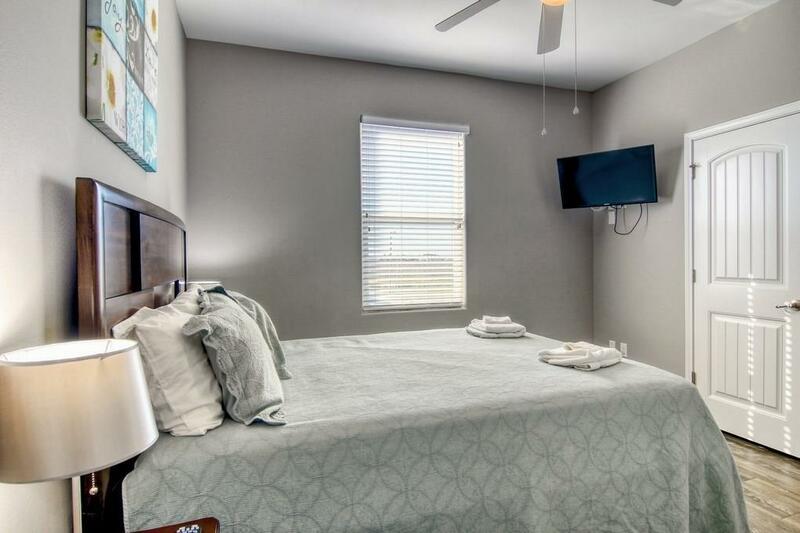 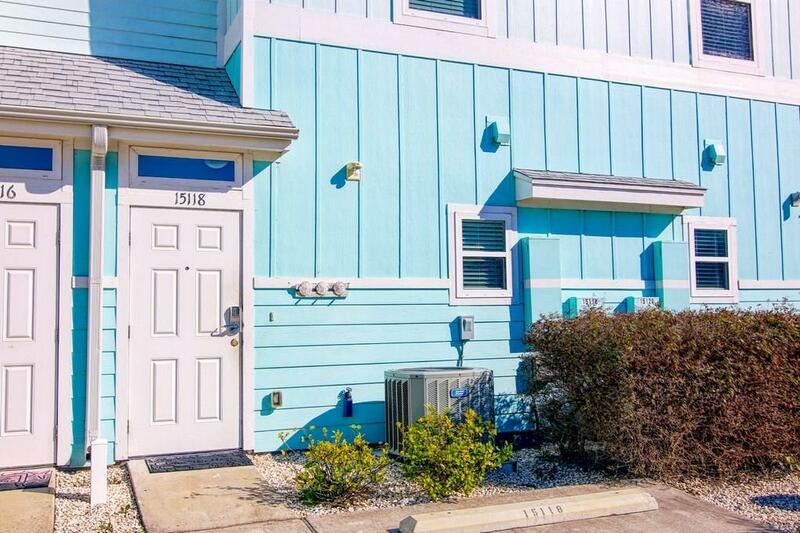 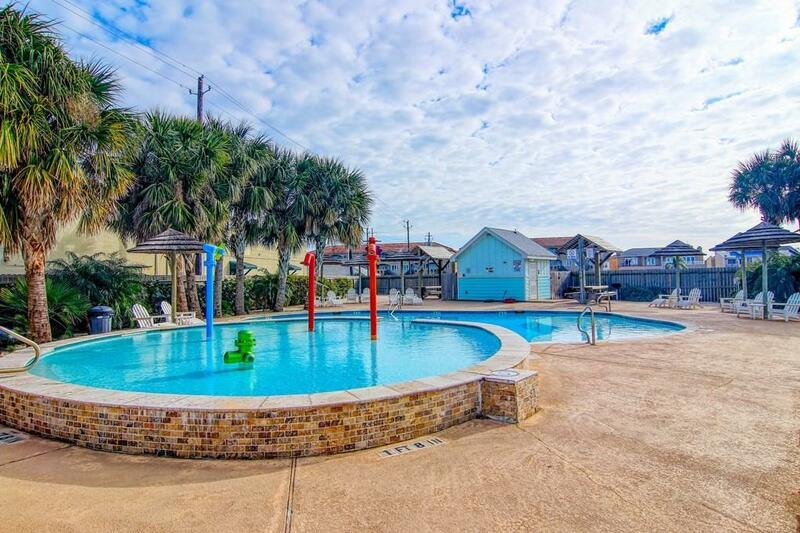 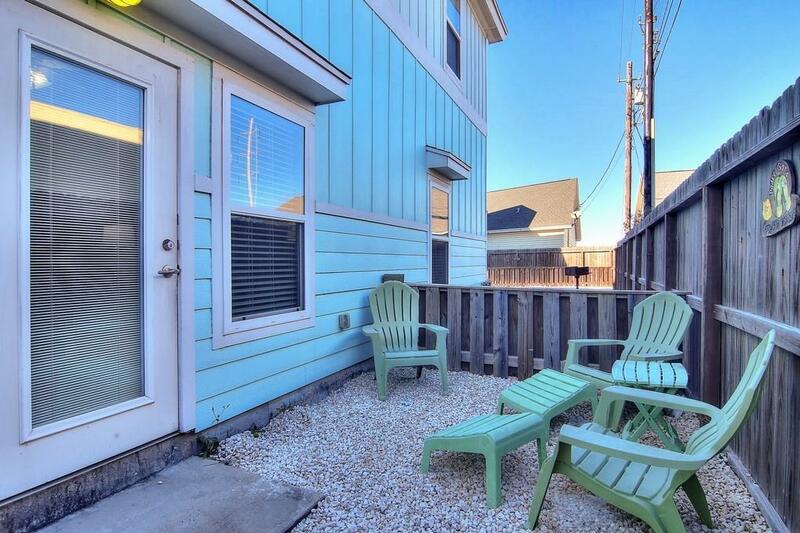 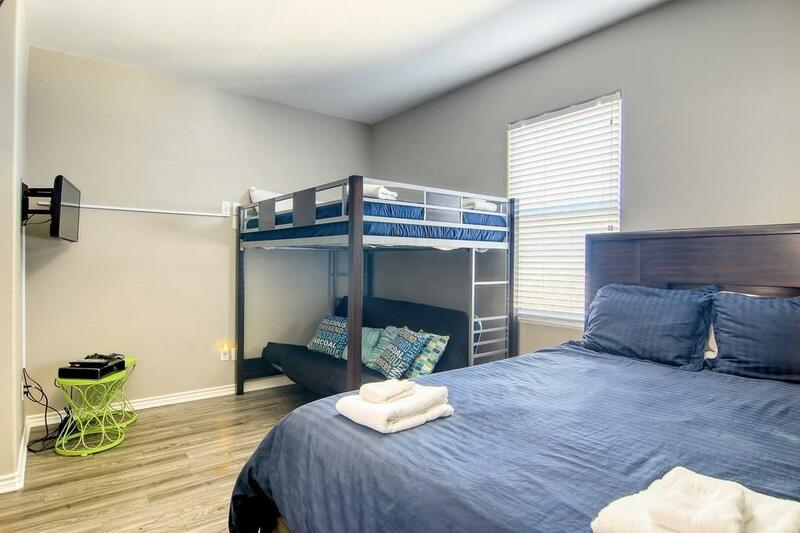 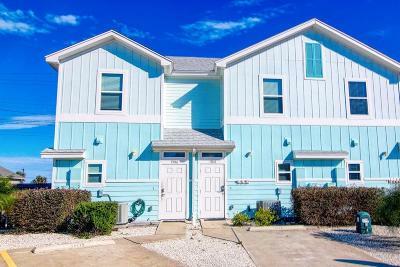 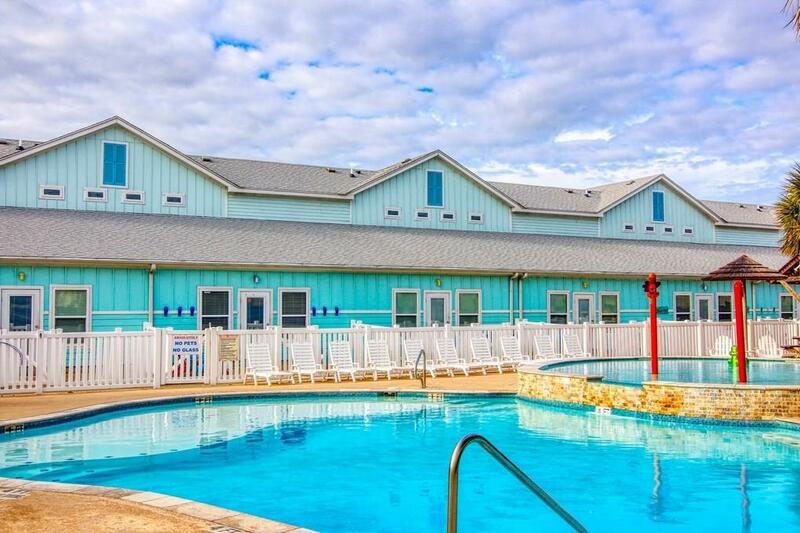 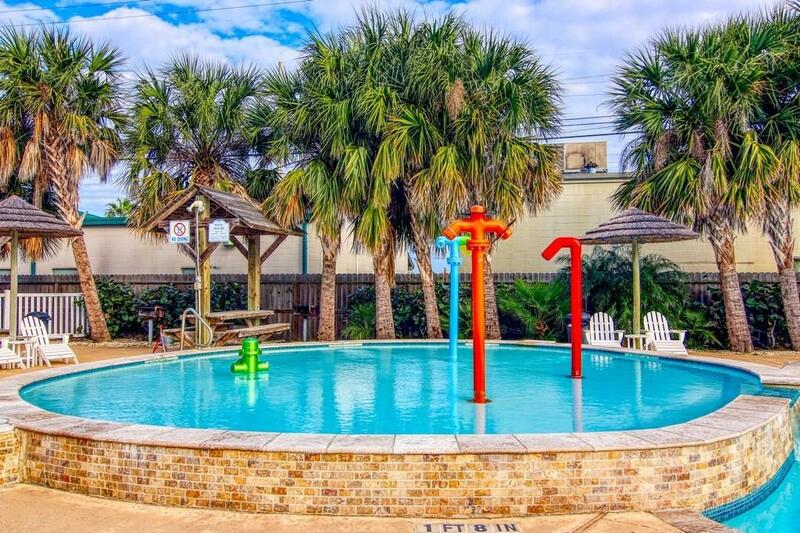 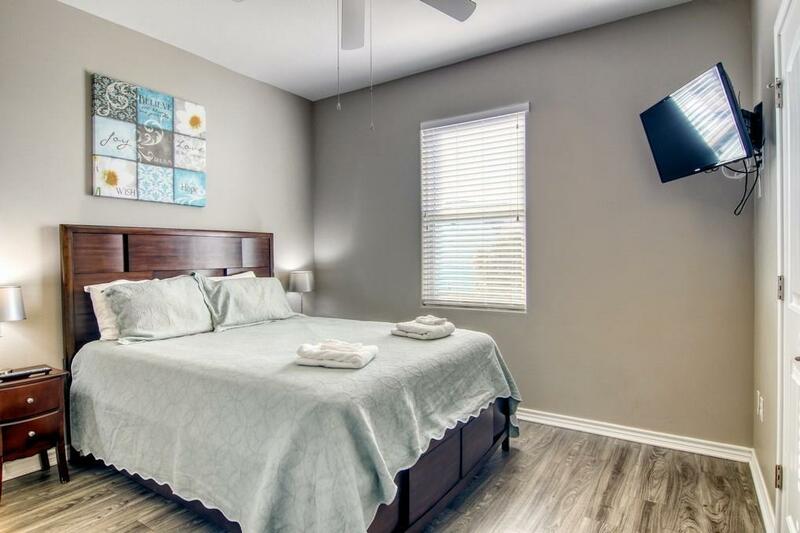 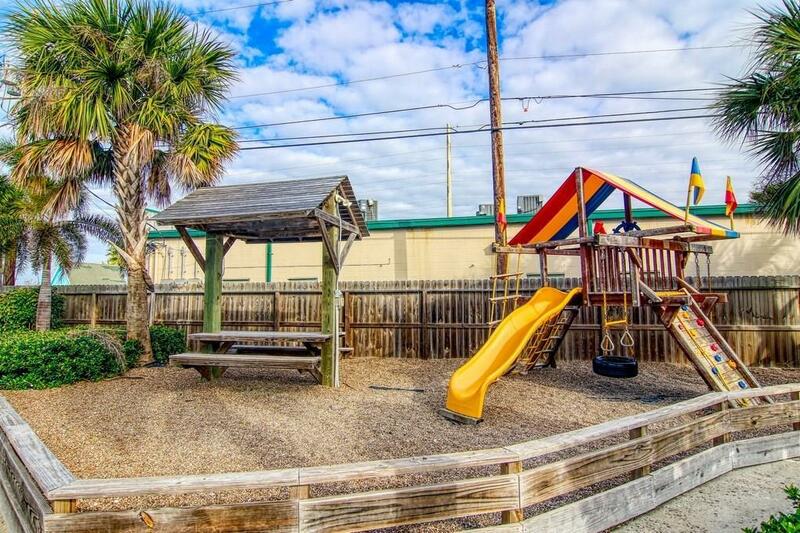 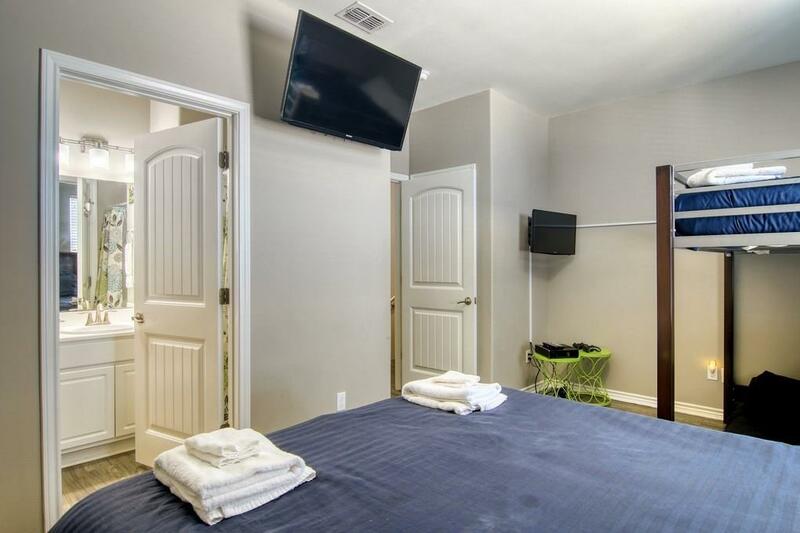 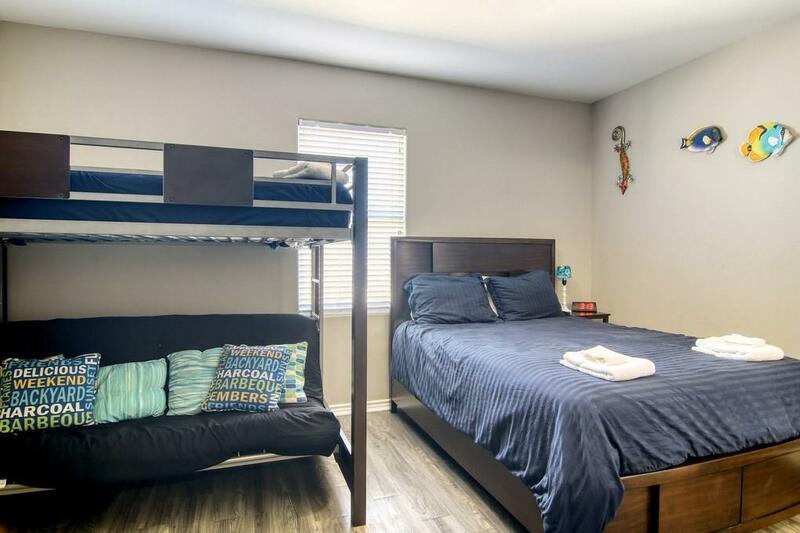 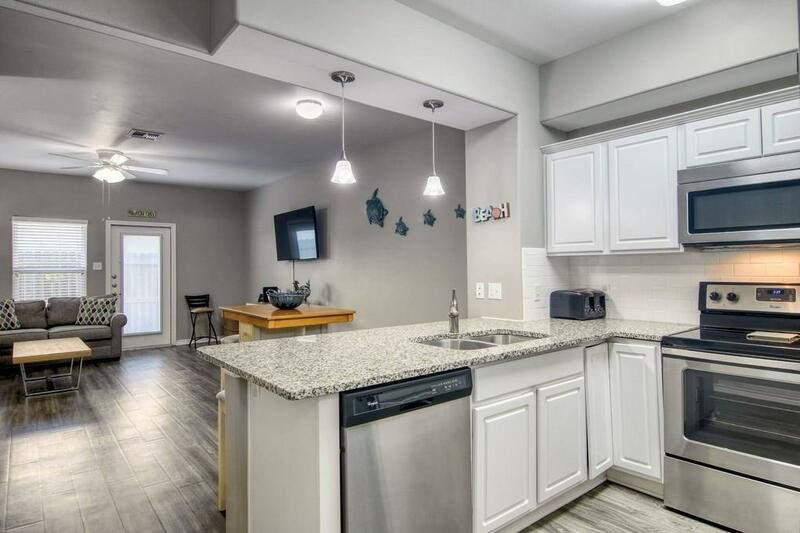 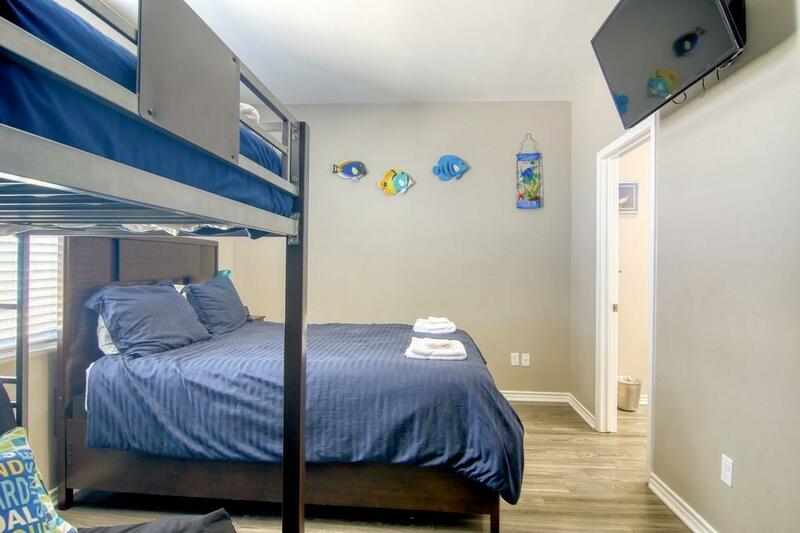 Conveniently located minutes from the beach, Schlitterbahn waterpark, shopping, and restaurants. 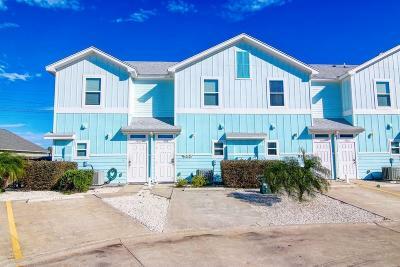 Great investment opportunity - short and long term rentals are allowed. HOA dues are $346.50 per month and cover exterior maintenance, exterior insurance, all property amenities maintenance, trash, cable, and internet. 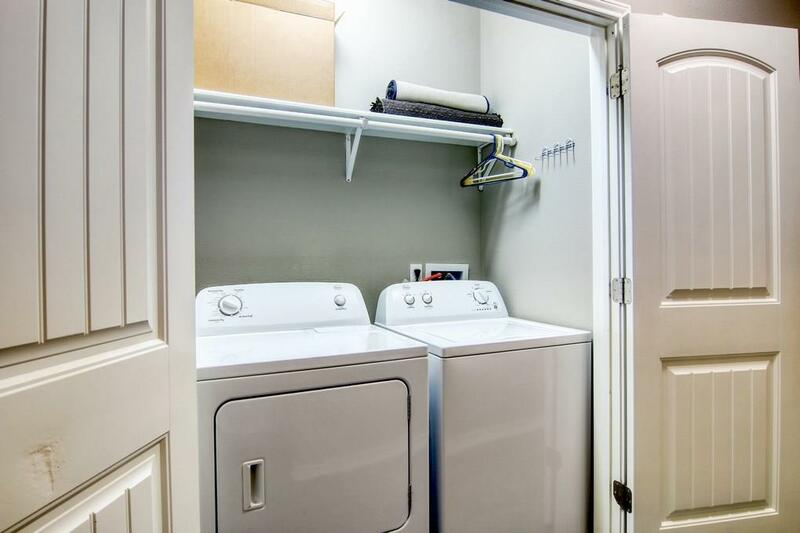 Refrigerator, washer, and dryer are included. Can come fully furnished as seen for an additional $10,000. 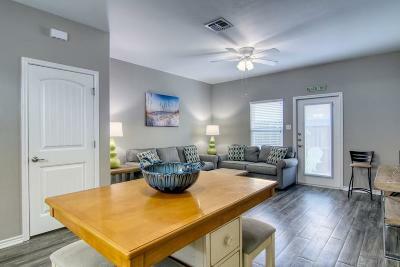 Check out the 3D virtual tour.